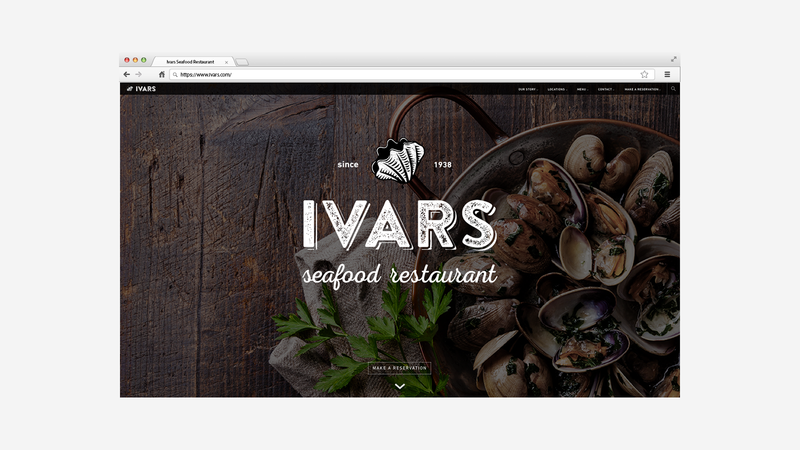 Ivar’s Seafood Restaurant is an established brand that is well known in Washington since 1938, but their brand identity is out-of-date. 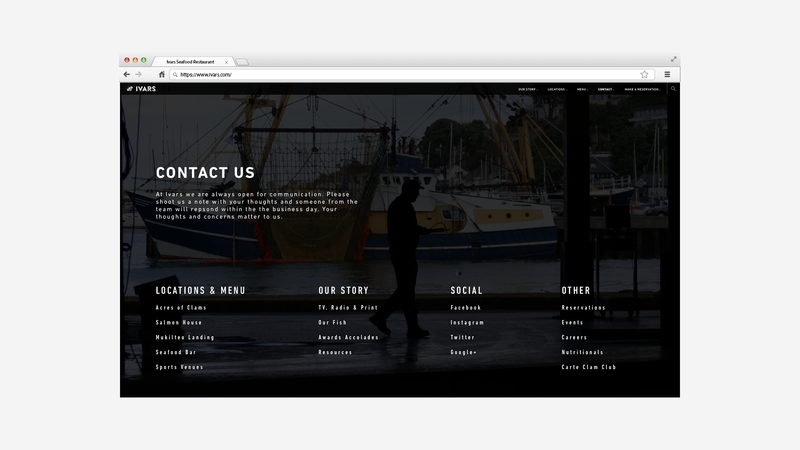 The current identity doesn’t say anything about Ivars, or support its franchise. Through research, I found ways to give them a visual reboot, but keep the authenticity of a brand that has been in existence for 75 years. 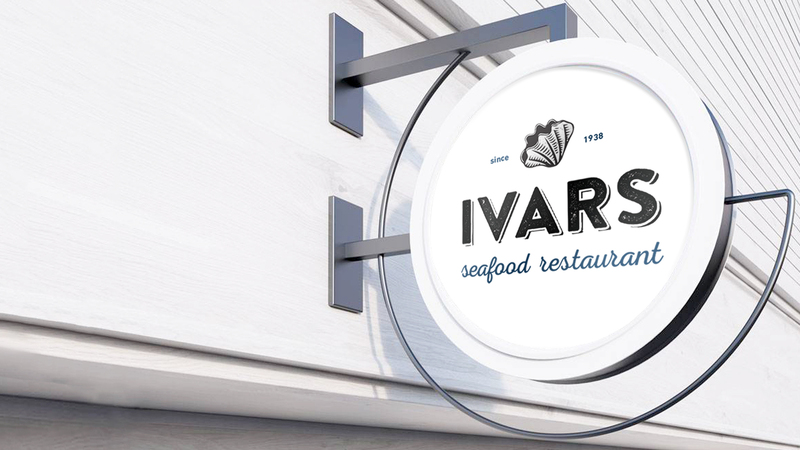 Ivar’s has some fast casual style restaurants, but this reboot focuses on their more sophisticated, fine dining establishments. 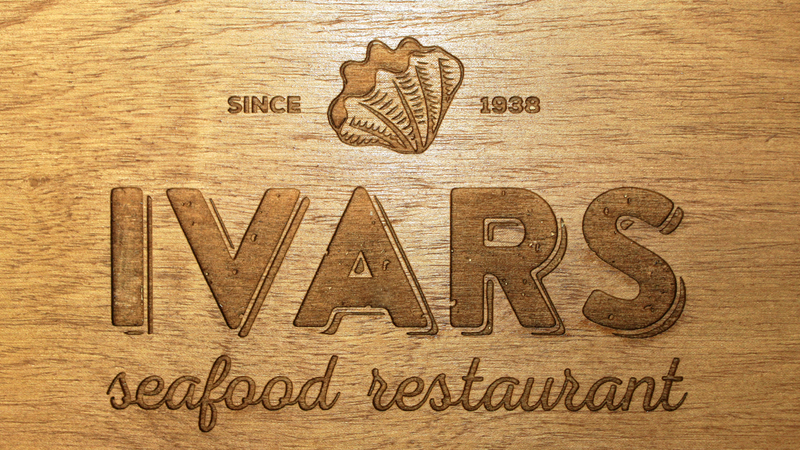 Ivar's previous logo was more of an illustration than a functional mark. 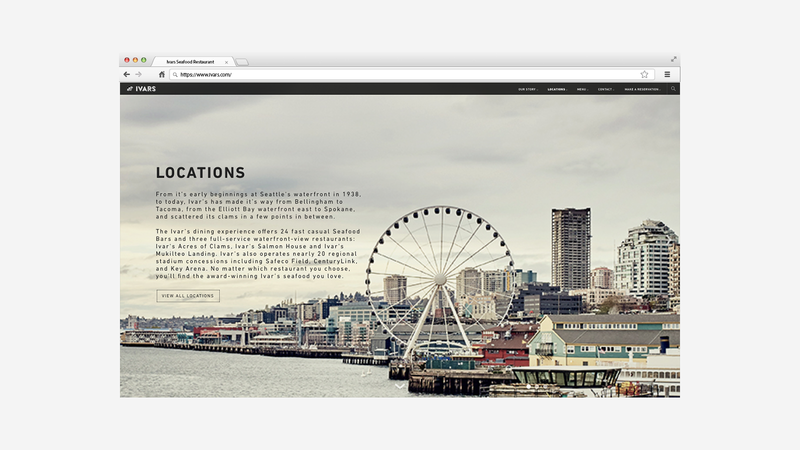 Since Ivar’s is prominent on their 1938 date, I knew it had to be the key element. 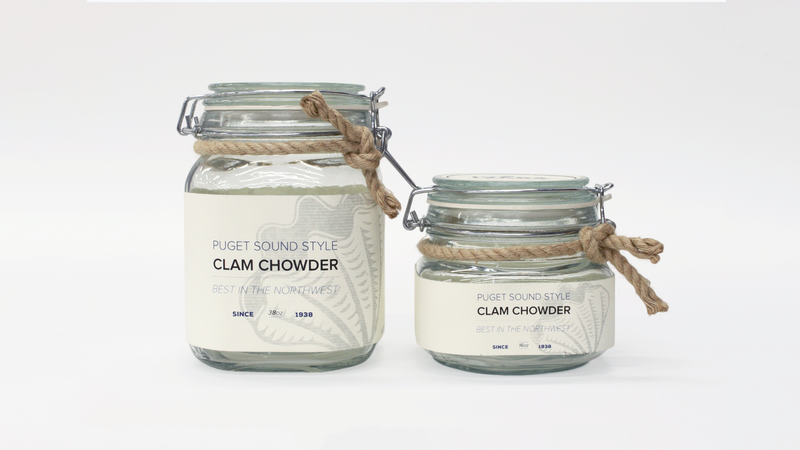 I wanted to modify the look of a clam and make that an evident mark because Ivar’s is known for their classic chowder. 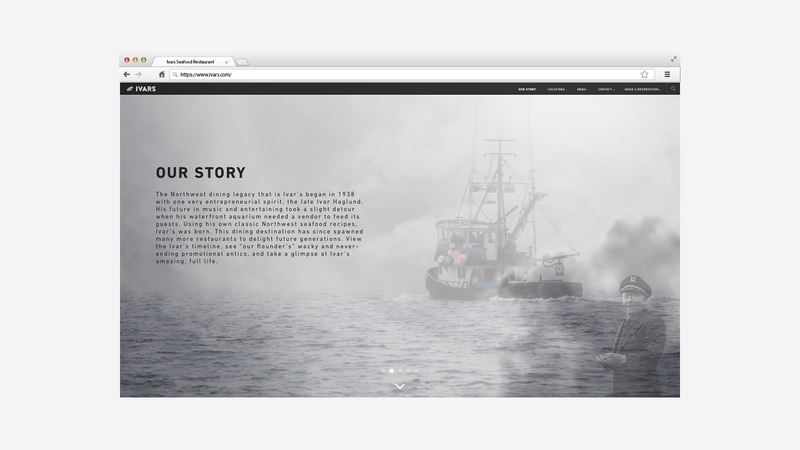 The website was redesigned from its cutesy predecessor to one that communicates history, longevity and elicits trust. 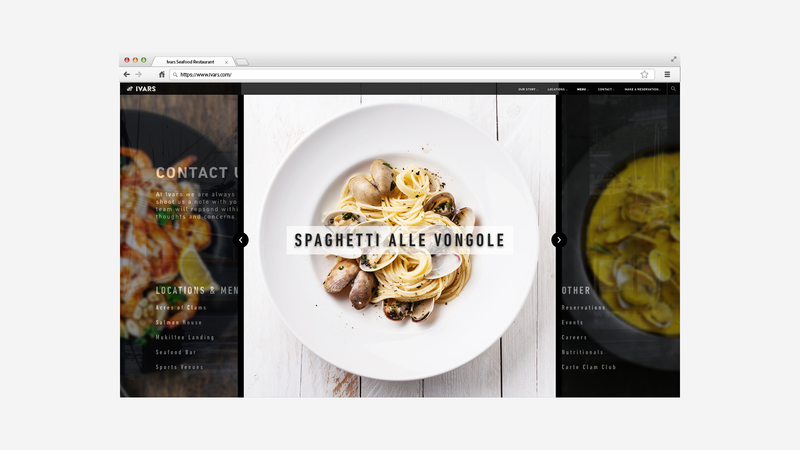 The new website allows the user to experience a fluid and user-friendly journey. Being clean and minimal decreases distraction from the end goal. 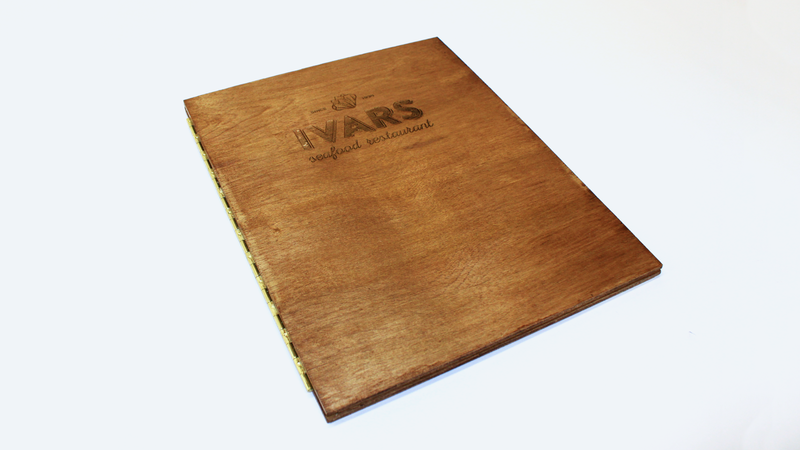 These new food and beverage menus make use of wood boards, which allude to the docks that lie outside the restaurant and reinforce the freshness of the food at Ivar’s. 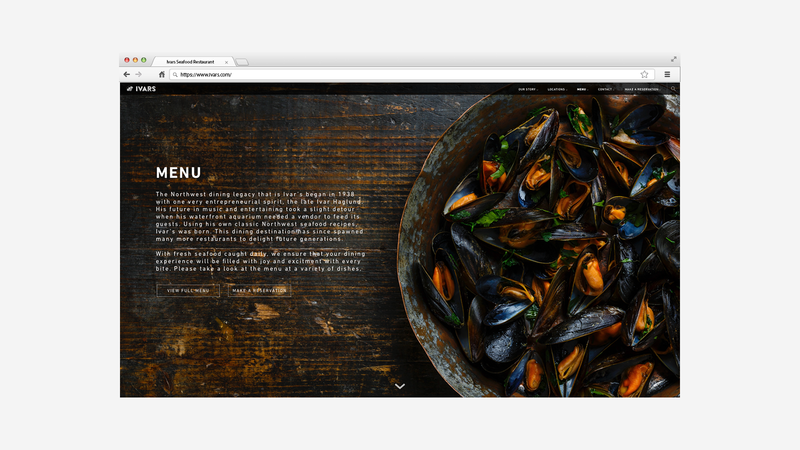 Research shows that separate menus for food and beverages greatly boost sales. 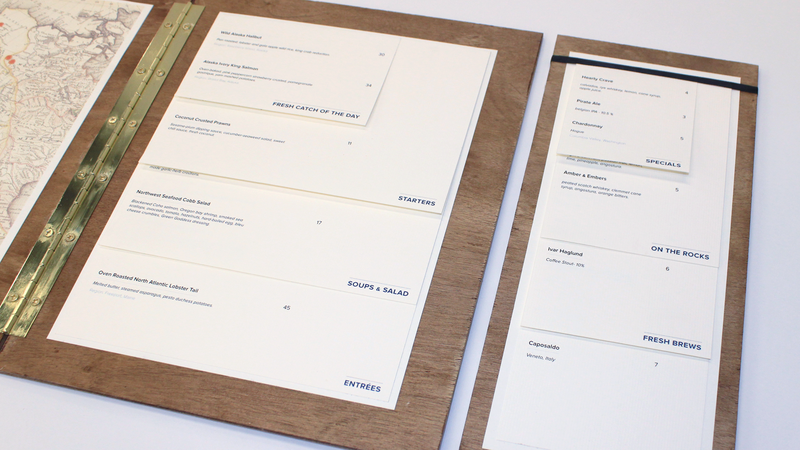 Inside, I rewrote the menu to correlate with ocean / harbor sea life lingo and used textured paper to create a more high-end experience for the user. 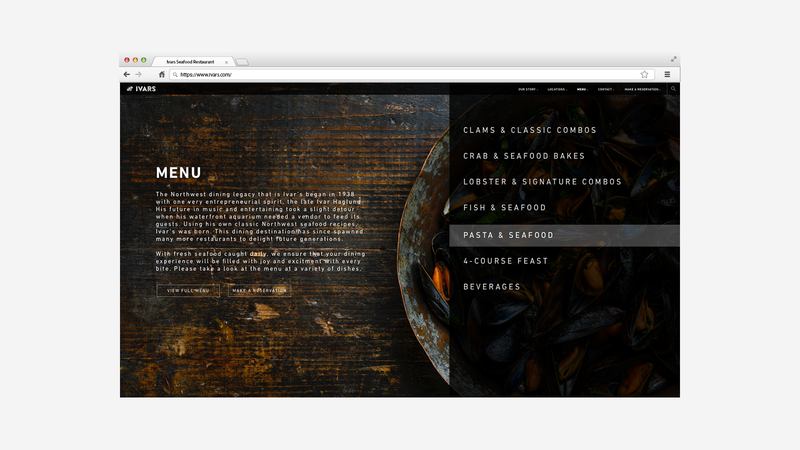 Due to the low light setting, I strategically made the font size readable and the overall menu easier to grip. 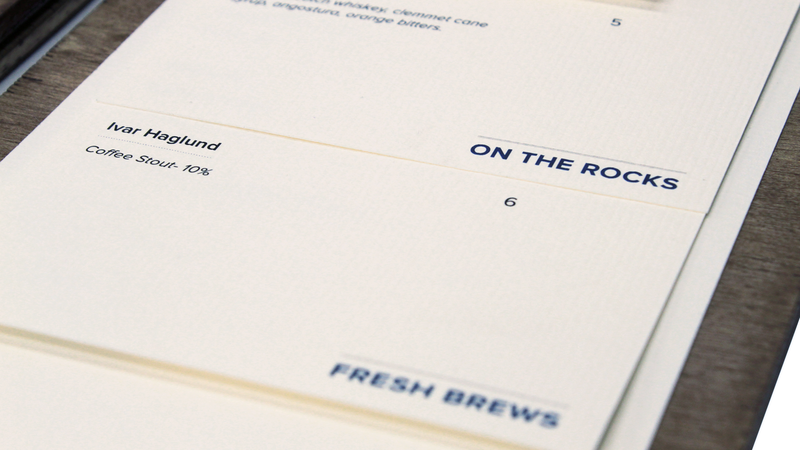 The laser cut logo on the front covers adds a touch of sophistication. 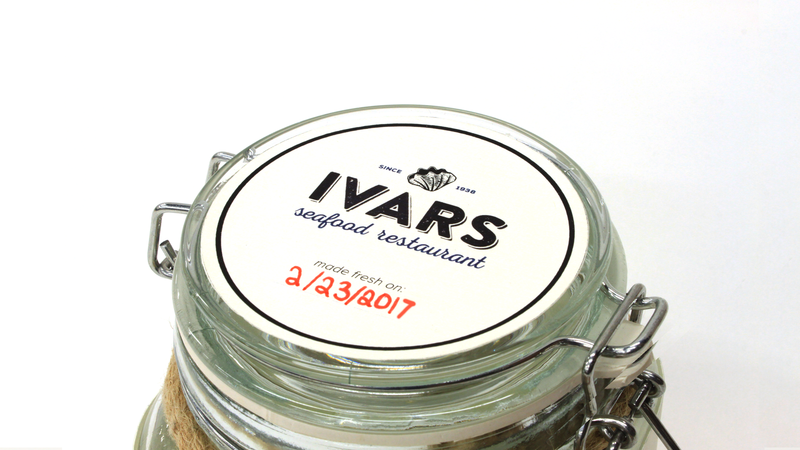 The packaging was inspired by Ivar’s commitment to freshness. 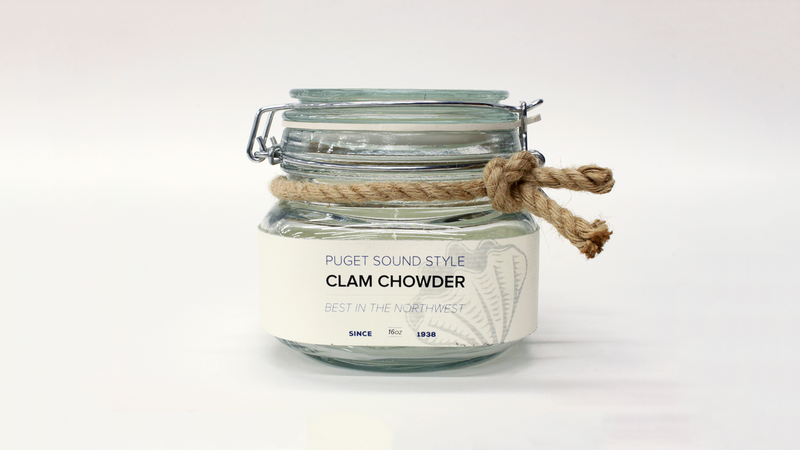 Selling clam chowder in glass jars will guarantee freshness and create a branded presence that will last longer than throwaway containers would. 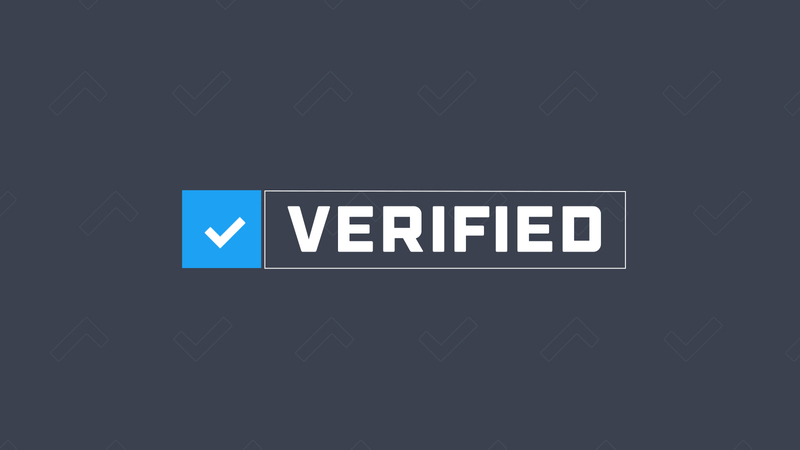 The signed/dated label reinforces the freshness of the product and its authenticity.